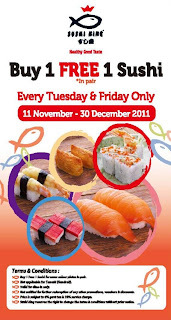 Sushi King Buy 1 FREE 1 Sushi is back! Sushi in pair of same colour plate. Not valid with other promotion, voucher and discount.